Sqoop together with HDFS, Hive and PIG completes the basic Hadoop ecosystems. We have already read about HDFS in this HDFS Tutorial and in this segment I will be talking about Sqoop, another very important tool in Hadoop ecosystems.I will first talk about the basics of Sqoop and then will go to an advanced version with many examples in this Sqoop tutorial which will help you to understand Sqoop better. For better understanding, let’s divide this complete Sqoop tutorial into 8 chapters and we will go through each one by one. Chapter 1: What is Sqoop- an Introduction? Now let’s start with each chapter separately. 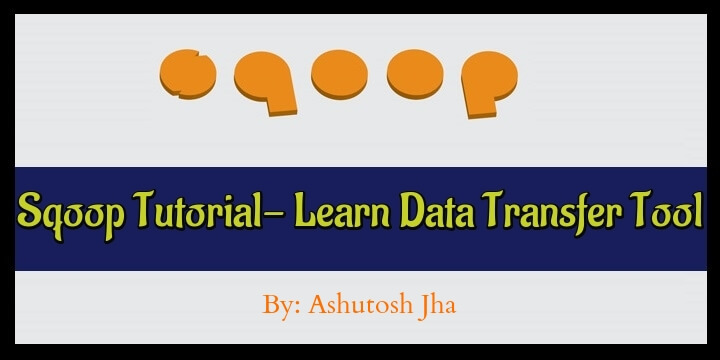 Note: Before starting with Sqoop, I highly recommend you to go through HDFS tutorial first as it will give you an overview of file systems and Hadoop.